rich girls. : Nicole Fendel Arm Candy. 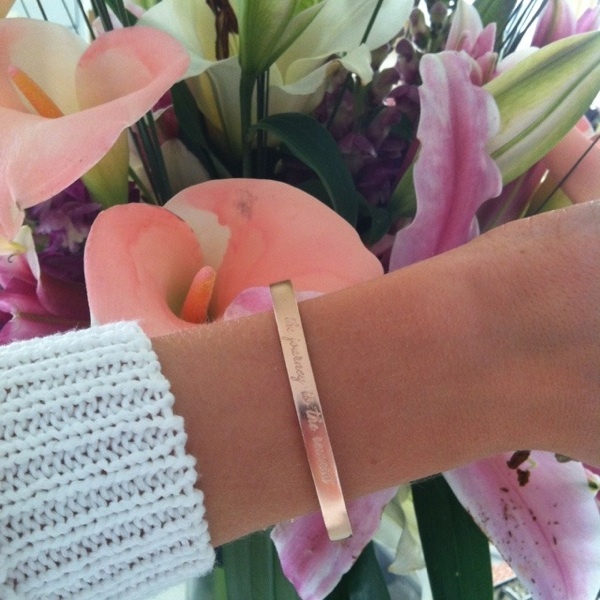 Introducing my new Nicole Fendel 'Journey' cuff in rose gold w/ ocean blue ties from Eclektica. It's the perfect every day piece and looks so delicate on it's own or paired with a few bright layers for Spring. 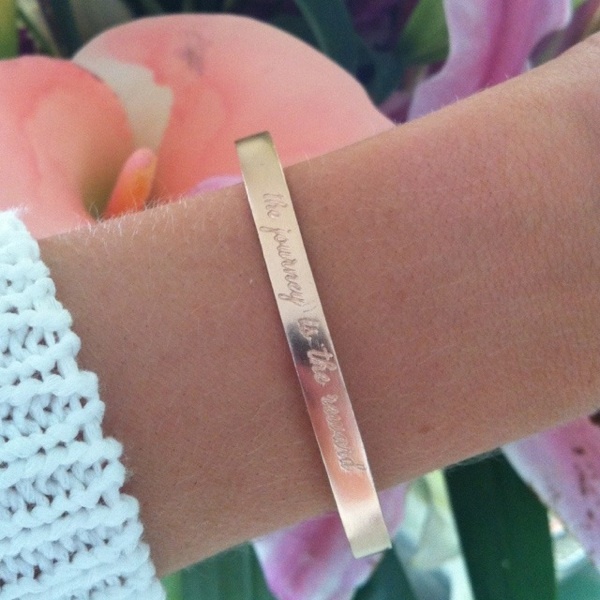 I fell head over heels with the little inscription, "The journey is the reward". It's just a sweet little reminder that life is precious and to love every moment along the way, big or small. Take a peek at the online jewellery boutique Eclektica for more colours and all of the other stunning designers' pieces here. This cuff is so gorgeous!! Thanks for the comments about that skirt.. I'm kinda obsessed with it! As for races, I'm working Melbourne cup day also :(. So I will try and go to Oaks. Are you going as a blogger, or a civillian? :P!